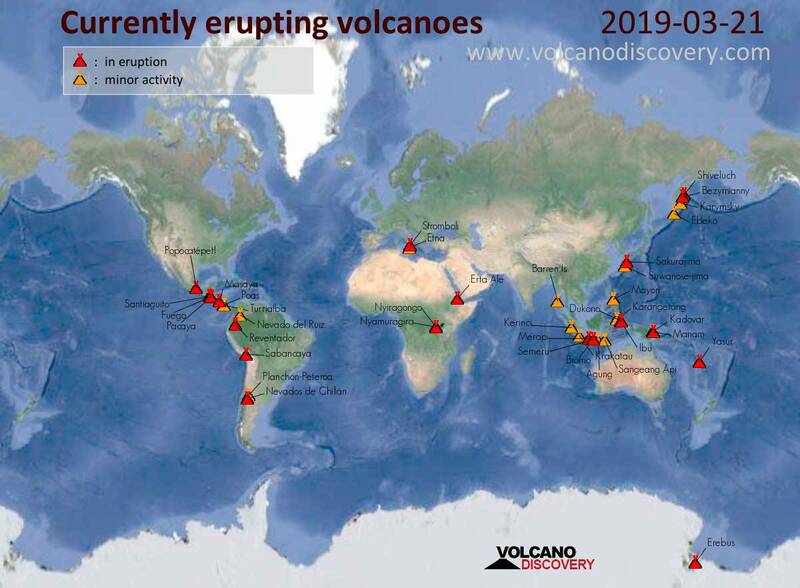 Stromboli (Eolian Islands, Italy): (21 Mar) During the past weeks, activity has gradually decreased to the volcano's typical low to normal levels of activity. Fuego (Guatemala): Explosive activity continues. Volcanic Ash Advisory Center (VAAC) Washington warned about a volcanic ash plume that rose up to estimated 16000 ft (4900 m) altitude or flight level 160 .